High quality cabinet drawer kits are available in many popular sizes. Exceptionally convenient, our drawer kits replace the entire upper drawer in base cabinets and incorporate a tray designed for storage of carving knives and a reversible cutting board serving tray. The cabinet drawer conversion kit is offered in models to fit framed cabinets, as well as frameless or European cabinets. 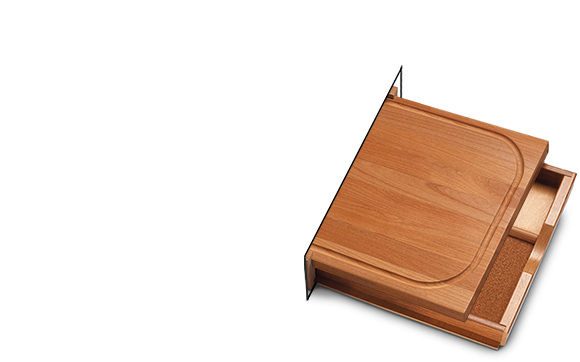 Our drawer kits are excellent accessory items for any kitchen or cooking area. 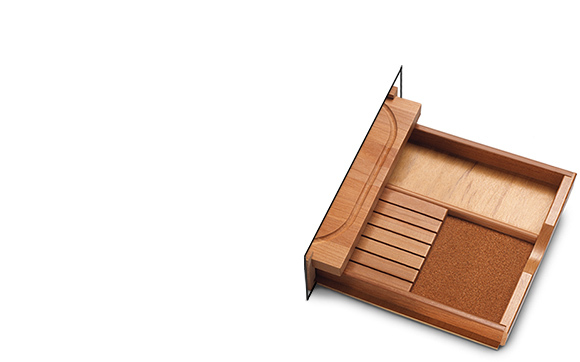 The cutting block features a permanent washable finish. The drawer kits are designed to fit all base cabinets and are available in the widths 15", 18", 21" and 24" with a 4" or 5" drawer opening height. 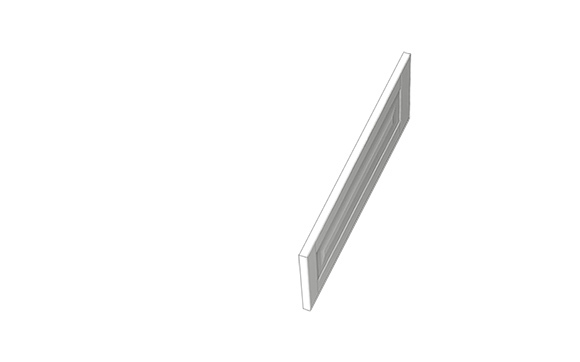 Accommodates all cabinet face frame widths from 1-1/2" to 1-5/8". All hardware is supplied with the hinges, used to reapply the existing drawer front to your cabinets (no hinges supplied with the European series). 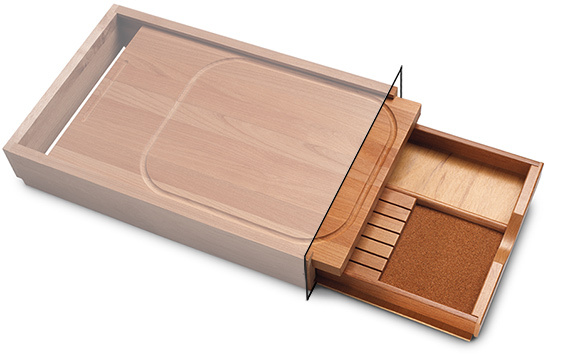 European series cabinet drawer kits include a slightly larger board and knife tray. Individually packed and shipped fully assembled with installation instructions. For special requirements or sizes, please call us toll free at 1-877-723-0209.